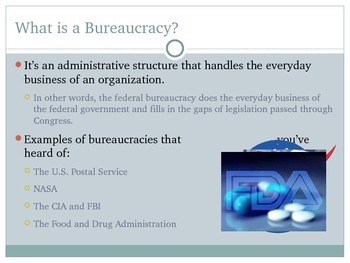 This presentation covers the federal bureaucracy. 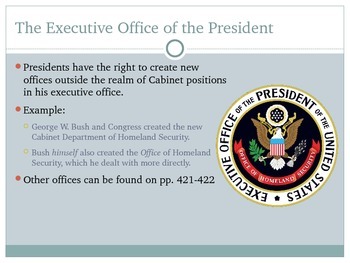 Topics covered include bureaucratic structure and examples in the executive branch. 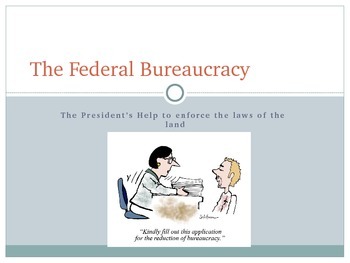 The bureaucracy can be a difficult subject to teach, but this presentation makes things very simple, going over the President's Executive Office, his Cabinet, and even the Civil Service System. The importance of the Pendleton Act is also mentioned in the power point. 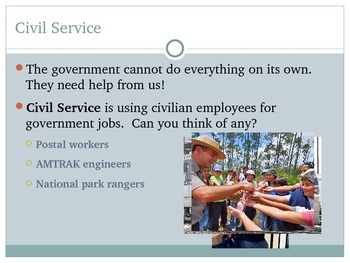 This lesson has been used for Advance Placement U.S. Government and Politics, but can be used at any level of civics or political science.